Conflict theories emphasize the social, political, or material inequality of a social group, that critique the broad socio-political system. In conflict theory, deviant behaviors are actions that do not go along with the social institutions. Marx himself did not write about deviant behavior, but he wrote about alienation amongst the proletariat, as well as between the proletariat and the finished product, which causes conflict and, thus, deviant behavior. Marx used the term ” lumpenproletariat ” to describe that layer of the working class which is unlikely to ever achieve class consciousness. Michel Foucault believed that torture had been phased out from modern society due to the dispersion of power; there was no need any more for the wrath of the state on a deviant individual. According to Foucault, instead individuals are controlled by institutions. Contemporary society is characterized by the lack of free will on the part of individuals because institutions of knowledge, norms, and values, are in place to categorize and control humans. Deviant Behavior: The violation of prevailing norms or cultural standards prescribing how humans ought to behave. Deviance, in a sociological context, describes actions or behaviors that violate social norms, including formally-enacted rules, as well as informal violations of social norms. In sociology, conflict theories are perspectives that emphasize the social, political, or material inequality of a social group, that critique the broad socio-political system, or that otherwise detract from structural functionalism and ideological conservativism. Conflict theories draw attention to power differentials, such as class conflict, and generally contrast historically dominant ideologies. It is therefore a macro level analysis of society. Karl Marx is the father of the social conflict theory, which is a component of the four paradigms of sociology. In conflict theory, deviant behaviors are actions that do not comply with social institutions. The institution’s ability to change norms, wealth, or status comes into conflict with the individual. The legal rights of poor folks might be ignored, while the middle class side with the elites rather than the poor. Conflict theory is based upon the view that the fundamental causes of crime are the social and economic forces operating within society. 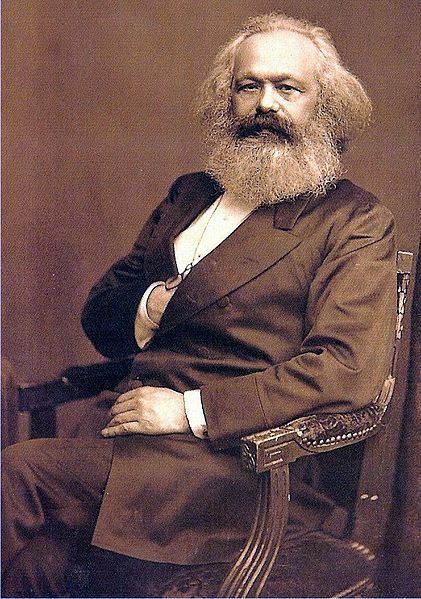 Portrait of Karl Marx: The nineteeth-century German intellectual Karl Marx identified and described the alienation that afflict the worker under capitalism. Michel Foucault believed that torture had been phased out from modern society due to the dispersion of power; so there was no need any more for the wrath of the state on a deviant individual. Rather, the modern state receives praise for its fairness and dispersion of power that, instead of controlling each individual, controls the mass. He also theorized that institutions control people through the use of discipline. The modern prison is a template for these institutions, because it controls its inmates by the perfect use of discipline. Foucault theorizes that, in a sense, the contemporary society is characterized by the lack of free will on the part of individuals. Institutions of knowledge, norms, and values, are in place to categorize and control humans. 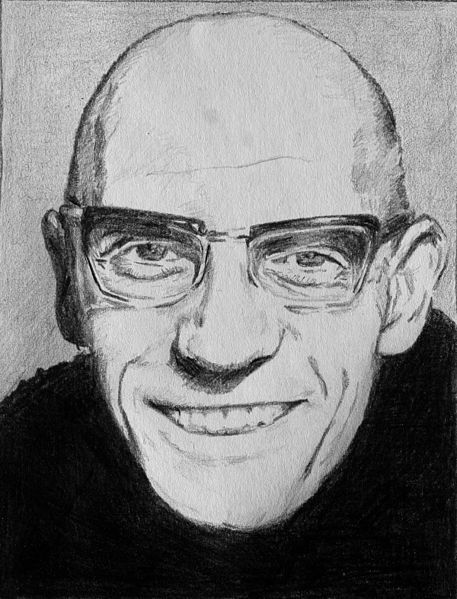 Drawing of Michel Foucault: The French philosopher Michel Foucault theorized that institutions control people through the use of discipline. Power and inequality determine the socioeconomic conditions of different classes. Social stratification is a concept involving the classification of persons into groups based on shared socioeconomic conditions. Conflict theories, such as Marxism, focus on the inaccessibility of resources and lack of social mobility found in stratified societies. Social stratification has been shown to cause many social problems, including homicide, infant mortality, obesity, teenage pregnancies, emotional depression, teen suicide, and a high prison population. In modern Western societies, stratification is broadly organized into three main layers: upper class, middle class, and lower class. Conflict theories, such as Marxism, point to the inaccessibility of resources and lack of social mobility found in stratified societies. Social stratification has been shown to cause many social problems. Conflict Theories: Perspectives in social science that emphasize the social, political, or material inequality of a social group, critique the broad socio-political system, or otherwise detract from structural functionalism and ideological conservatism. Weberian: Of or relating to Max Weber (1864–1920), influential German sociologist and political economist. In social science and politics, power is the ability to influence the behavior of people. The term authority is often used for power perceived as legitimate by the social structure. Power can be seen as evil or unjust, but the exercise of power is accepted as endemic to (or regularly found in) humans as social beings. French philosopher Michel Foucault (1926–1984) saw power as “a complex strategic situation in a given society social setting”. Power may be held through authority, social class (material wealth), personal charisma, expertise or knowledge, persuasion, force (such as law or violence), and a myriad of other dynamics. Because power operates both relationally and reciprocally, sociologists speak of the balance of power between people in a relationship. All parties to all relationships have some power; the sociological examination of power concerns itself with discovering and describing the relative strengths – equal or unequal, stable or subject to periodic change. Given that power is not innate and can be granted to others, to acquire power you must possess or control a form of power currency (such as wealth, social status, authority, etc.). Social inequality refers to relational processes in society that have the effect of limiting or harming a group’s social status, social class, and social circle. Areas of social inequality include access to voting rights, freedom of speech and assembly, the extent of property rights and access to education, health care, quality housing, traveling, transportation, vacationing and other social goods and services. The reasons for social inequality can vary, but are often broad and far reaching. Social inequality can emerge through a society’s understanding of appropriate gender roles, or through the prevalence of social stereotyping. They can also be established through discriminatory legislation. Social inequalities exist between ethnic or religious groups, classes and countries, making the concept a global phenomenon. Social stratification is a trait of society, not simply a reflection of individual differences. Social stratification carries over from generation to generation. Social stratification is universal but variable. Social stratification involves not just inequality but beliefs as well. The upper class in modern societies is the social class composed of the wealthiest members of society, who also wield the greatest political power. The upper class is generally contained within the wealthiest 1–2 percent of the population, with wealth passed from generation to generation. In Weberian socioeconomic terms, the middle class is the broad group of people in contemporary society who fall socioeconomically between the working class and upper class. The common measures of what constitutes middle class vary significantly between cultures. 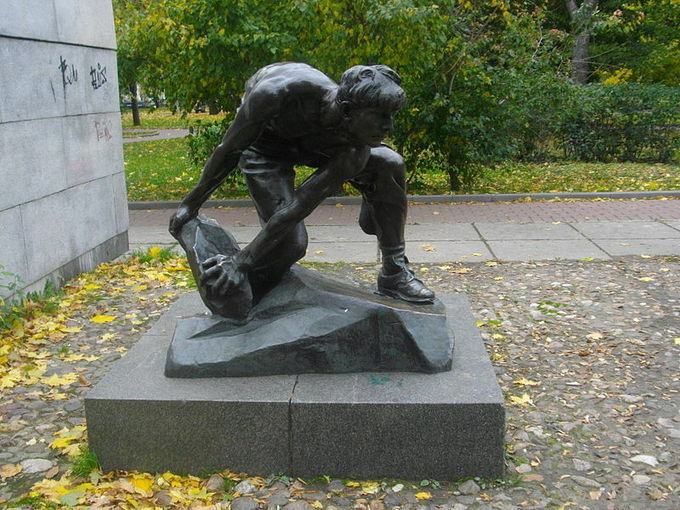 The working class describes the group of people employed in lower tier jobs, often including those in unemployment or otherwise possessing below-average incomes. Working classes are mainly found in industrialized economies and in urban areas of non-industrialized economies. Conflict theories, such as Marxism, focus on the inaccessibility of resources and lack of social mobility found in stratified societies. Many sociological theorists have criticized the extent to which the working classes are unlikely to advance socioeconomically; the wealthy tend to hold political power which they use to exploit the proletariat inter-generationally. In Marxist theory, the capitalist mode of production consists of two main economic parts: the substructure and the superstructure. Marx saw classes as defined by people’s relationship to the means of productions in two basic ways: either they own productive property or they labor for others. The base comprehends the forces and relations of production: employer-employee work conditions, the technical division of labor, and property relations—into which people enter to produce the necessities and amenities of life. These relations determine society’s other relationships and ideas, which are described as its superstructure. The superstructure of a society includes its culture, institutions, political power structures, roles, rituals, and state. Social stratification has been shown to cause many social problems. A comprehensive study of major world economies revealed that homicide, infant mortality, obesity, teenage pregnancies, emotional depression, teen suicide, and prison population all correlate with higher social inequality. Rankings apply to social categories of people who share a common characteristic without necessarily interacting or identifying with each other. The process of being ranked can be changed by the person being ranked, and it can differ based on race, gender, and social class. People’s life experiences and opportunities depend on their social category. This characteristic can be changed by the amount of work a person can put into their interests. The use of resources can influence others. The ranks of different social categories change slowly over time. This has occurred frequently in the United States ever since the American revolution—the U.S. Constitution has been altered several times to specify rights for everyone. Anarchists and other libertarian socialists argue that police and law themselves are oppression. The term oppression, in such instances, refers to the subordination of a given group or social category by unjust use of force or authority in order to achieve the effects of oppression. In psychology, racism, sexism and other prejudices are often studied as individual beliefs which, although not necessarily oppressive in themselves, can lead to oppression if they are codified in law or become parts of a culture. In sociology, prejudices are often studied as being institutionalized systems of oppression in some societies. In sociology and psychology, internalized oppression is the manner in which an oppressed group comes to use against itself the methods of the oppressor. prejudice: An adverse judgment or opinion formed beforehand or without knowledge of the facts. Oppression is the exercise of authority or power in a burdensome, cruel, or unjust manner. It can also be defined as an act or instance of oppressing, the state of being oppressed, and the feeling of being heavily burdened, mentally or physically, by troubles, adverse conditions, and anxiety. Injustice refers to the absence of justice. The term may be applied either in reference to a particular event or act, or to a larger status quo. The term generally refers to misuse, abuse, neglect, or malfeasance that is uncorrected or otherwise sanctioned by a legal system. Misuse and abuse with regard to a particular case or context may represent a systemic failure to serve the cause of justice. Anarchists and other libertarian socialists argue that police and laws themselves are oppression. The term oppression, in such instances, refers to the subordination of a given group or social category by unjust use of force, authority, or societal norms in order to achieve the effects mentioned above. When institutionalized, formally or informally, it may achieve the dimension of systematic oppression. Oppression is customarily experienced as a consequence of, and expressed in, the form of a prevailing, if unconscious, assumption that the given target is in some way inferior. Oppression is rarely limited solely to formal government action: An individual may be the particular focus of oppression or persecution, and in such circumstances, have no group membership in which to share, and thus maybe mitigate the burden of ostracism. In psychology, racism, sexism and other prejudices are often studied as individual beliefs which, although not necessarily oppressive in themselves, can lead to oppression if they are codified in law or become parts of a culture. By comparison, in sociology, these prejudices are often studied as being institutionalized systems of oppression in some societies. In sociology, the tools of oppression include a progression of denigration, dehumanization, and demonization which often generate scapegoating, which is used to justify aggression against targeted groups and individuals. In sociology and psychology, internalized oppression is the manner in which an oppressed group comes to use against itself the methods of the oppressor. For example, sometimes members of marginalized groups hold an oppressive view toward their own group, or start to believe in negative stereotypes. 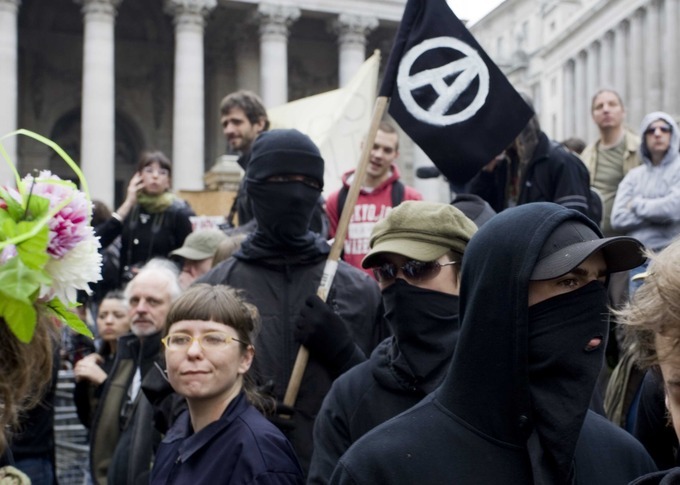 Anarchists at the G20 Summit in London, 2009: Sometimes the oppressed unite to fight back against the oppressors.